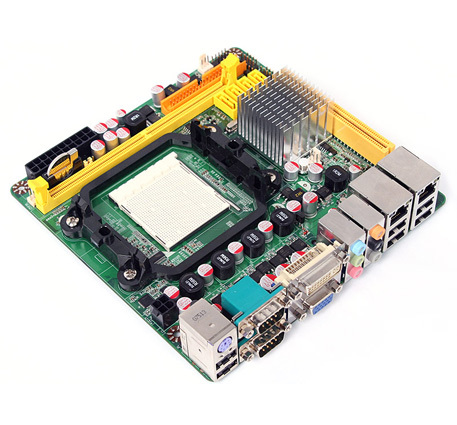 NC62K :: JNC62K :: Nvidia MCP78S Chipset :: AMD AM2+ / AM2 :: JETWAY COMPUTER CORP.
Only PCB REV.4.0 can support AMD 45nm CPU. Description Update Realtek lan bootrom V2.31. 1. Add SPI flash protect. 1. Fix Alarm time can be set 0 for everyday. 1. Support Sempron 140 CPU. 2. Update Realtek Lan bootrom V229. 1. Fix Athlon 64 X2 6000+ CPU boot issue. 1. Fix USB port 3 issue. 2. Fix hang 50h issue. 3. Update new packet option. 3. Cool'n'quiet default change to Auto. 4. Fix system hang during warm reset.